The Scottsdale Active 20-30 Club is excited to announce that popular national radio hosts Johnjay Van Es and Rich Berra will be emceeing the 29th annual NiteFlite Gala. The event raises money for more than a dozen local children’s charities. More than 1,500 people are expected to attend the formal event on Saturday, October 20. NiteFlite is made possible from sponsors Cavalry Portfolio Services, CalJet/Qwikjet, Canyon State Electric Co., Inc.,UMB Bank, Butler Design Group and many more. The radio duo will also be the title sponsor through their Johnjay and Rich #LoveUp Foundation. The #LoveUp Foundation has several major programs for foster care children including Children’s Heart Gallery and Christmas Wish on 104.7 KISS FM. #LoveUp is funded through corporate donations and grants, individual contributions and the sale of #LoveUp t-shirts. Earlier this year, The #LoveUp Foundation received a record breaking first-time grant of $14,000 from Scottsdale 20-30 to fund pilot program F.A.C.T. (Fostering Achievement Through Computer Technology). The initiative is a new partnership between #LoveUp and the Arizona Department of Child Safety. The donation allowed The #LoveUp Foundation to purchase 100 Chromebook laptop computers for foster children graduating from the 8th grade. This will be the first year Johnjay and Rich emcee the Vegas themed event, NiteFlite, hosted at The W Scottsdale Hotel. The gala will have casino tables including blackjack, roulette and craps. Guests will enjoy food and drinks from local restaurants and win prizes during the night-long raffle. The raffle will feature several major grand prizes. Raffle tickets start at $25, five for $100 and 60 for $1,000. One ticket enters you into all three prizes. Ticket for the gala cost $150 for regular entry and $250 for VIP Access. People can purchase tickets at 2030nf.org. The wildly popular NiteFlite Golf Tournament also returns Friday, October 19, offering participants a day of golf, food, drink and the opportunity to win prizes. For more information on Scottsdale Active 20-30 Club and its upcoming events visit scottsdale2030.org or like them on Facebook at facebook.com/scottsdale2030. The Scottsdale 20-30 was founded with the single objective of supporting children’s charities. 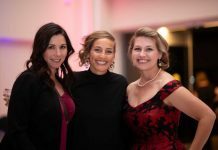 By hosting special events, this non-profit club draws the community together to raise funds for and to educate our citizens about the financial, medical, and emotional needs of Arizona’s children. The Club provides young adults with an opportunity to impact the community by improving the quality of life for special needs children while fostering personal growth, friendships, networking skills and leadership development.